An encounter with a bottlenose dolphin at the age of five has led to a lifetime’s passion for wildlife and in particular whales, dolphins and porpoises. 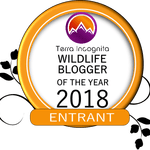 From studying at University, travelling the world and through my working life, my passion has grown and developed as I watch, learn and hopefully inspire others about the world’s amazing wildlife. The blog follows my adventures with wildlife, from whale and dolphin watching to ringing and studying wild birds as a licence bird ringer. The gallery at this point focuses on my favourite creatures, whales and dolphins. As well as a keen whale watcher, bird watcher, licenced bird ringer, I am also a partner of the World Cetacean Alliance a global partnership of individuals, non-profit organisations and whale watch companies dedicated to conserving and protecting cetaceans and their habitat. 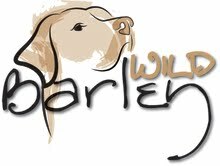 Wild Barley is named after my pup Barley, a red fox Labrador who is now over six years old and still acts like a puppy! Wild Barley is also dedicated to my husband Lee who with his support have been able to continue to follow my passion, and to my gorgeous daughter Robyn. All images are copyright Rachael Barber but if you would like to buy a print or use an image please feel free to contact me.